We've been going to Slattery's for yonks. Not only do they make fantastic cakes and chocolates, but they have a lovely tea room upstairs which does amazing home made food. Their portion sizes are notoriously huge, which is probably why I'm still not fancying any tea! 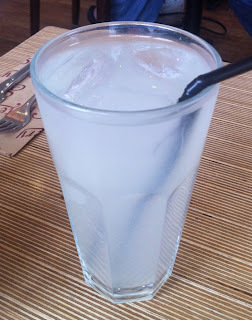 I started with their home-made lemonade, which was beautiful! Zesty but not sour, it had just the right amount of sugar. 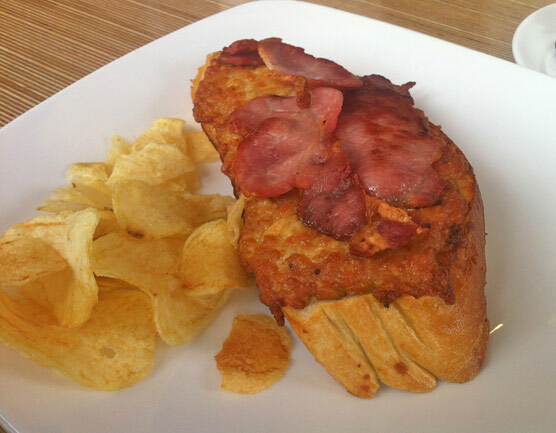 My husband loves welsh rarebit, and usually has it if it is on the menu. He was particularly impressed with this one, which came on home-made bread and came served with bacon. I must add that this normally comes with a salad, but he wanted nothing to do with that! 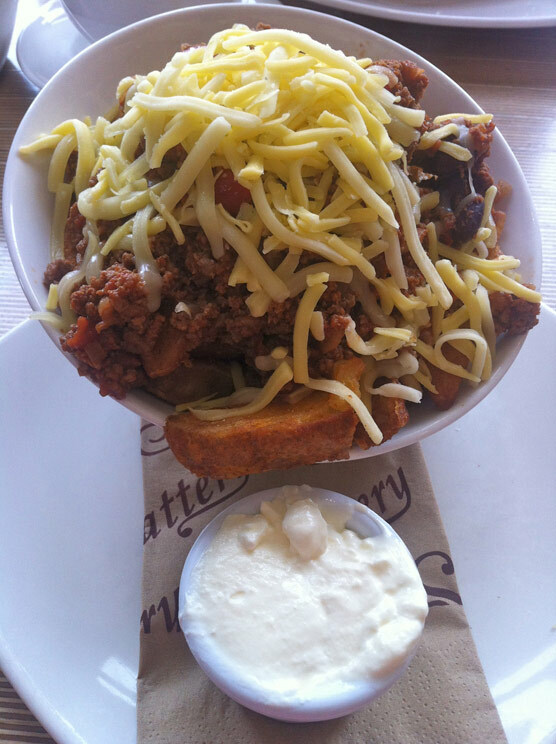 I had the spicy wedges with beef chilli, cheese and sour cream. This was massive! I'll be honest, I only managed about half, but I gave it a good go! This had a really deep flavour, which is often missing from chilli. I'm quite certain that I am a contender for a heart attack after consuming this, but hey... I'll die happy. 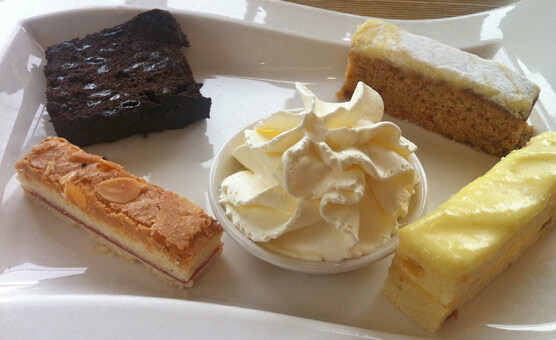 We 'shared' Mrs Slattery's cake sampler for dessert. Well, my husband had about two mouthfuls and declared himself full. I carried on like a trooper but still couldn't finish it all! fruit filled, rum infused thing! 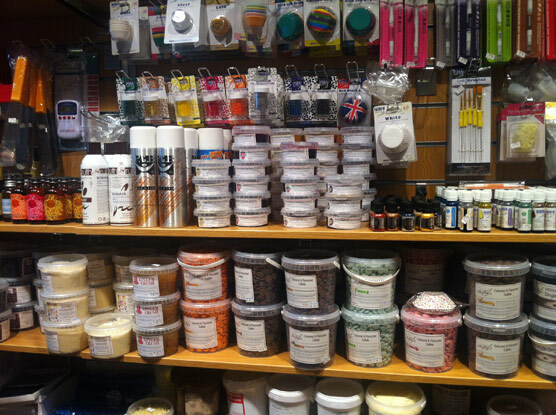 After our lunch we had a look at the new cake supplies section of the shop. It's out of this world! The variety is outstanding! From sparkles to huge industrial bags of chocolate! This is my new favourite haunt. 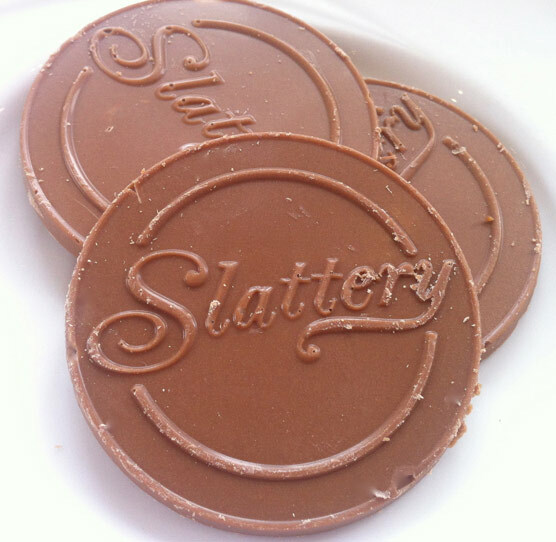 If you love chocolate, Slattery's is the place to be. If not, their other delectable cakes and savoury items mean that everyone is happy! 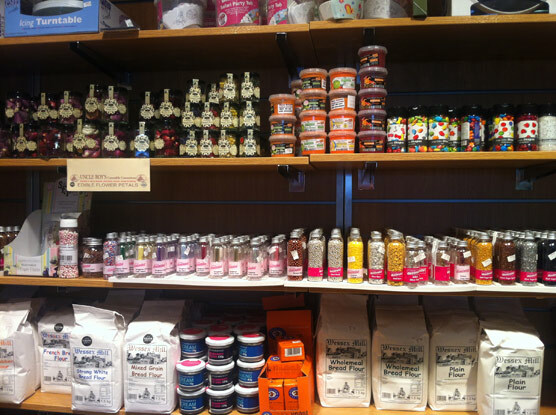 Wow shop looks fab. Do they have an online shop? www.slattery.co.uk we have a brand new website which has a large online shop section where you can buy a lot of the same items that we sell in the shop and we can send them out on our overnight carrier, we are having a few teathing problems with ordering on the new website so if you do come across this please give us a call on 0161 767 7766 and we can complete the order over the phone. yum, I was there today too! Must've missed you. I had the chicken melt foccacia it was delish, still stuffed now!! It's Fab, I did some training here ,one of my fave places Ever ..I always come out skint tho ,too much good stuff!!. No way I could have done it, like you I struggled with the Taster plate! This place sounds great - the cake selection particularly! This is my first visit to your blog, I'm now following and looking forward to your next post.